There’s nothing we aren’t afraid to try here at the Ministry! 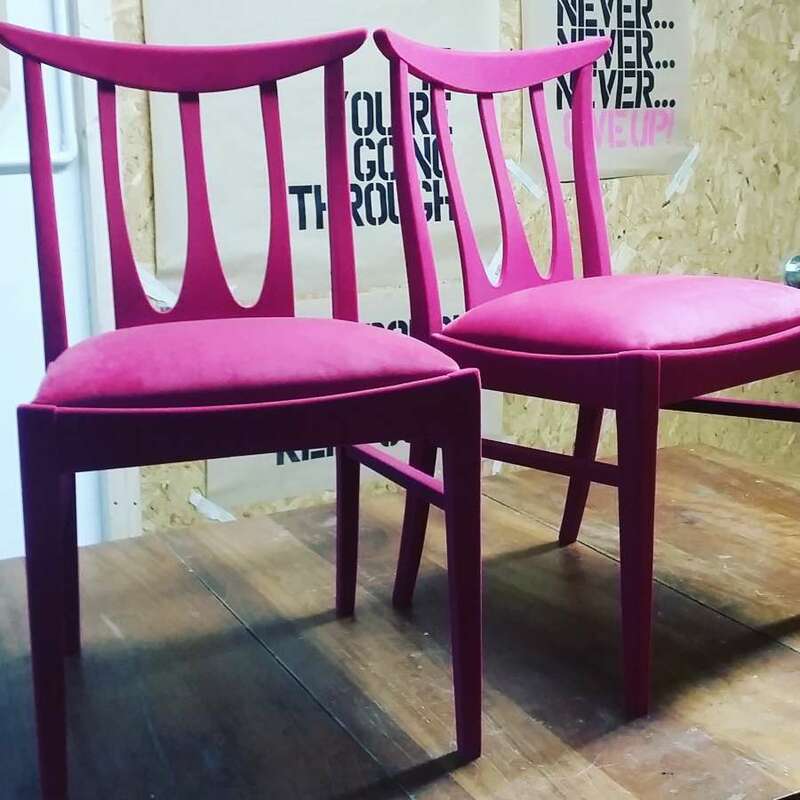 We have had these boring brown chairs flocked in hot pink as part of the next series of Money for Nothing. Tell us what you think? What an incredibly busy few weeks it’s been. As well as teaching all day every day we’ve been busy behind the scenes creating 3 bespoke pieces of furniture for BBCs Money for Nothing. 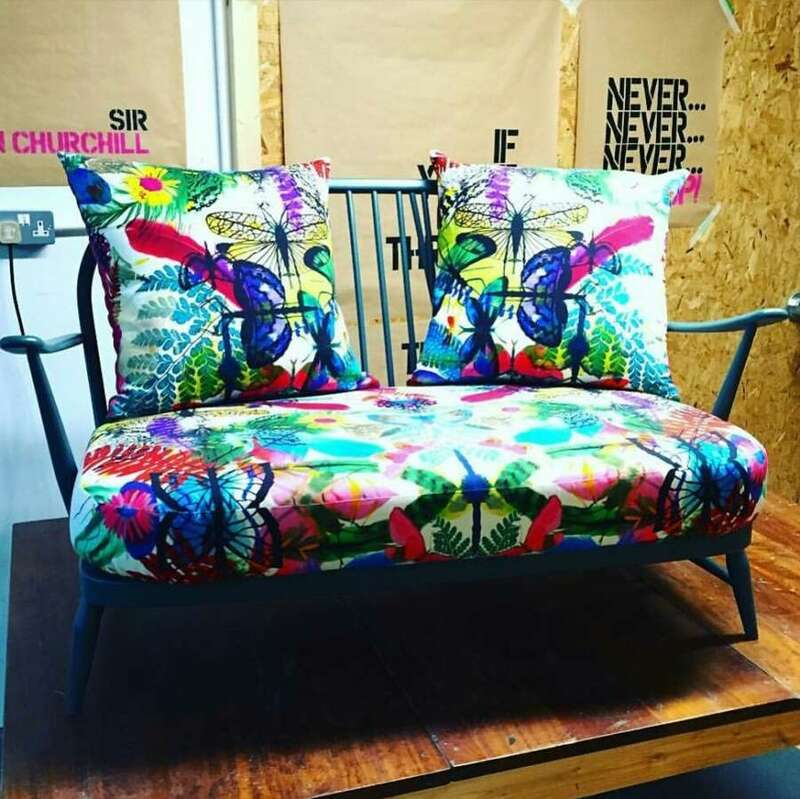 This first piece is an Ercol sofa destined for landfill that we have given a new lease of life with a beautiful Christian Lacroix fabric. Supported formats are: gif, jpg, jpeg, tiff, and png. Please select your bulk action. Please select at least one message for bulk action.